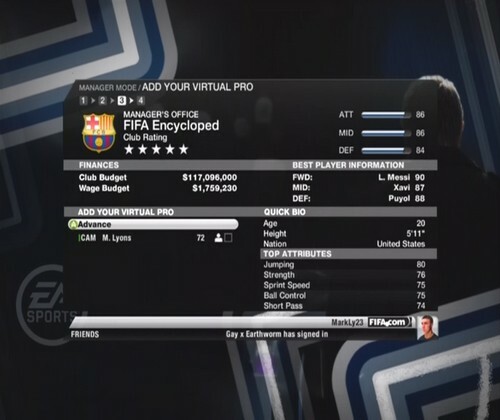 All FIFA 10 guides, tutorials, videos, news, etc. 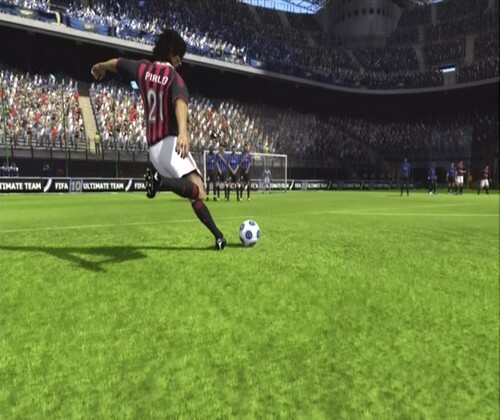 Free kicks are quite easy to score in FIFA 10, and much easier to practice with the new Practice Mode. It's easy to get the hang of close range free kicks, but ones from distance can be a bit tricky. Believe it or not, you'll only really need to know two methods of free kicks, but this article will also go more in-depth about other, less effective methods. 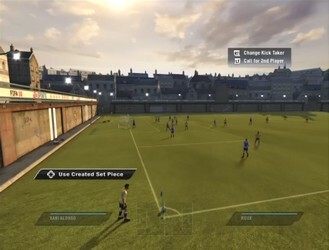 A feature that is new to the FIFA franchise in FIFA 10 is the ability to control the celebration of your player after he has scored. There are two types of celebration moves; running moves and finishing moves. Find out your favorite combinations and celebrate your great goals with a traditional punch the air or a more fancy salsa dance. Note that the celebrations listed in red are unlockable through using your Virtual Pro. Basically, you need to perform every celebration listed below that is not in red in order to unlock the celebrations listed in red. Below is a table of all the possible skill moves in FIFA 09. Remember that pretty much every skill move requires for the left trigger to be held down, without it your player will just dribble normally if you are moving the right stick. These controls are the same for both the Xbox 360 and the Playstation, although on the Playstation the trigger you want to use is L2. Note that just these core moves are not the only tricks you can do, you can combine them however you want to create your own unique skill move. Below is a table of all the basic controls in FIFA 09. Although you will probably be familiar with the vast majority of these, it is a good idea to skim over this as you might learn something you didn't know before. Its the little things like knowing how to execute an early cross or initiate runs that make big differences in matches, so take a quick look!